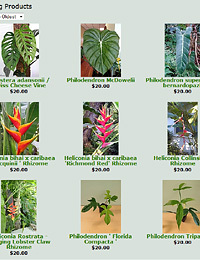 We just stocked the nursery with some great new plants! 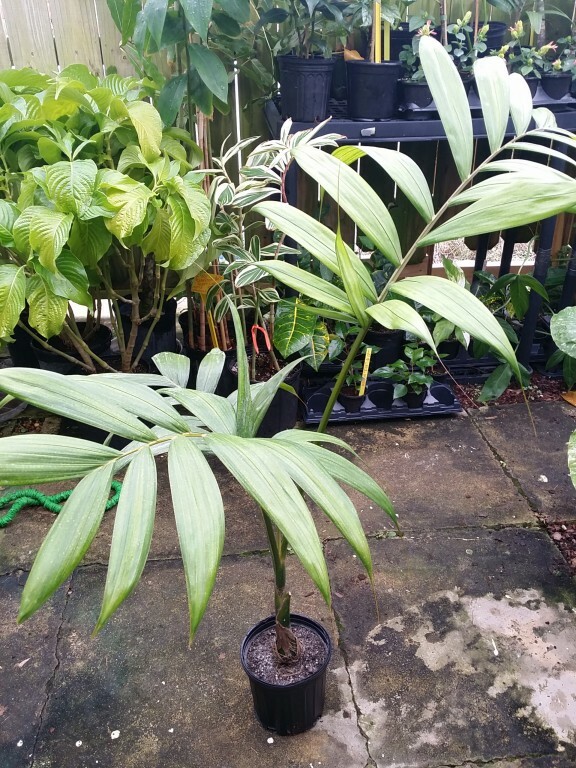 We have a limited quantity of RED FLAMETHROWER PALMS in 1 gallon pots approx 4-5 feet tall, showing some deep green trunk. 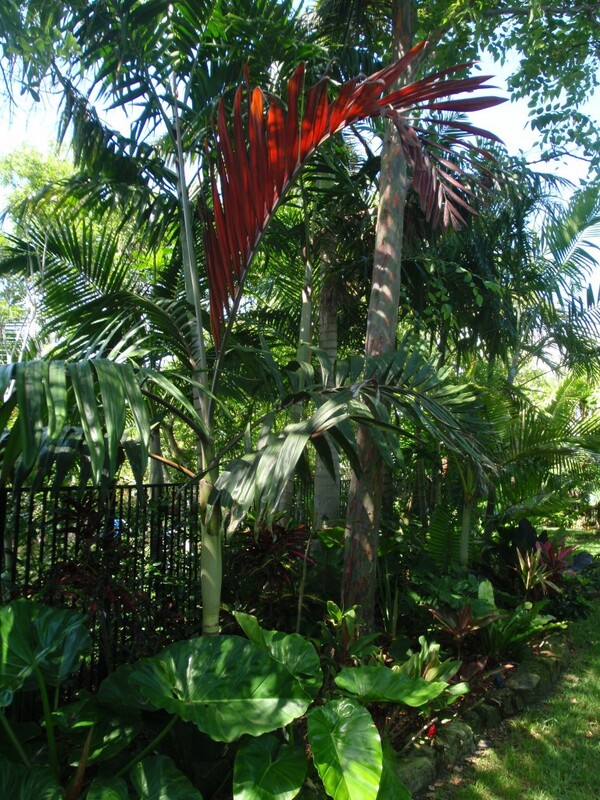 If you haven’t seen a Flamethrower or ‘Red Feather’ palm- they are very beautiful but the real eye catcher is the new fronds emerge BRIGHT RED and then fade back to green as they mature, and then the next frond emerges red again. 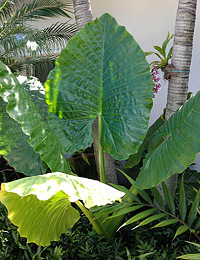 Below is a photo of a newly emerged frond in my Melbourne Beach garden.. they do quite well in Brevard! 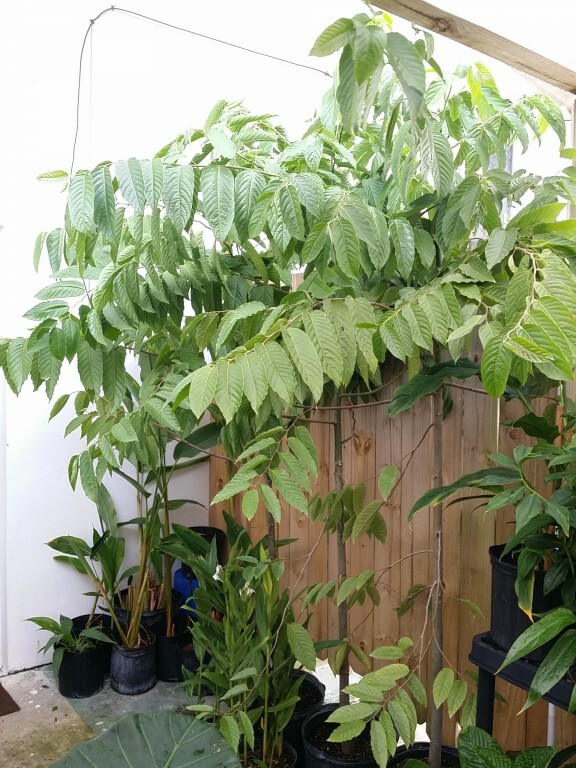 We also just got in some BIG 7 gallon Ylang Ylang Trees aka ‘Chanel #5 Tree’ – these are 7 foot+ tall and have a trunk about the size of my arm. 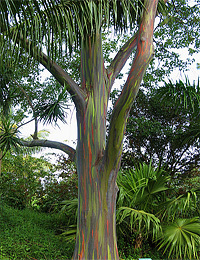 The fragrance on these trees is outstanding. Another great choice for our area. 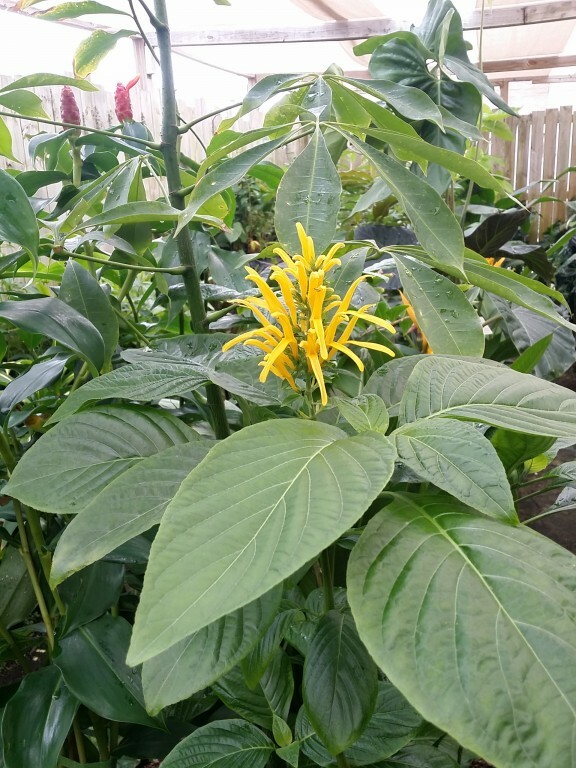 We also have BLOOMING YELLOW TORCH HELICONIA – these deep green Heliconia have canary yellow blooms and grow to approx 4-5 feet tall. 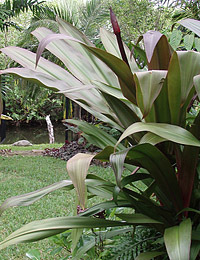 Also new is some very nice 3 gallon BRAZILIAN RED CLOAK. 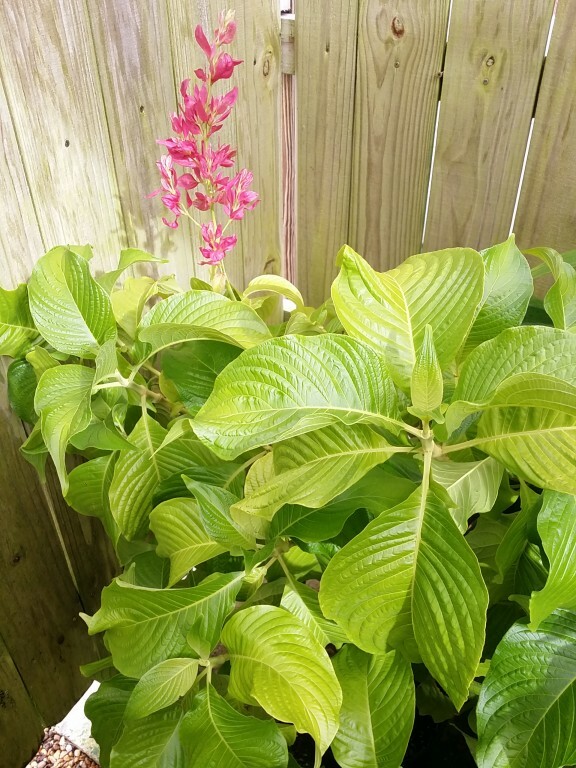 These very full-leafed plants have tall towers of maroon-pink blooms and look amazing in partly sunny areas. 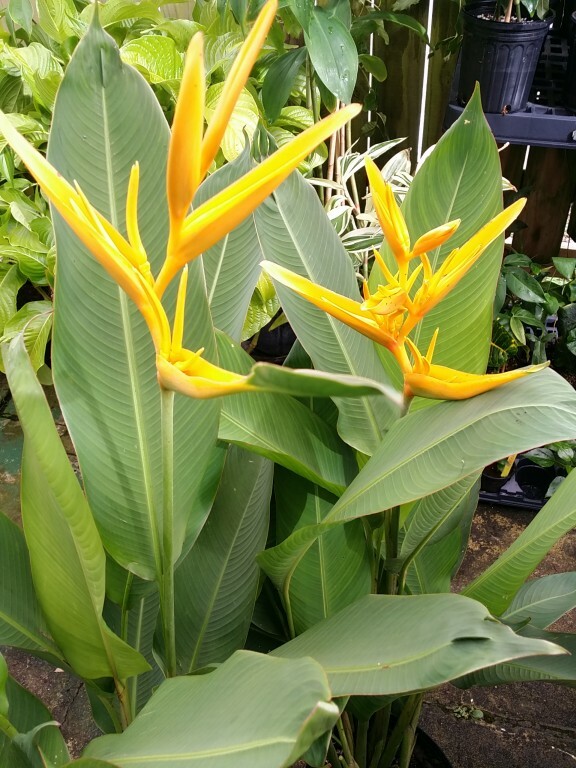 Some more plants just in include: Bilbergia nutans ‘Queen’s Tears’ – this Bromeliad has flamingo pink hanging flowers and looks fantastic tucked into crooks of a tree, fence or other support- they also look great in a hanging basket. Speaking of hanging baskets- we also now have carnivorous PITCHER PLANTS! 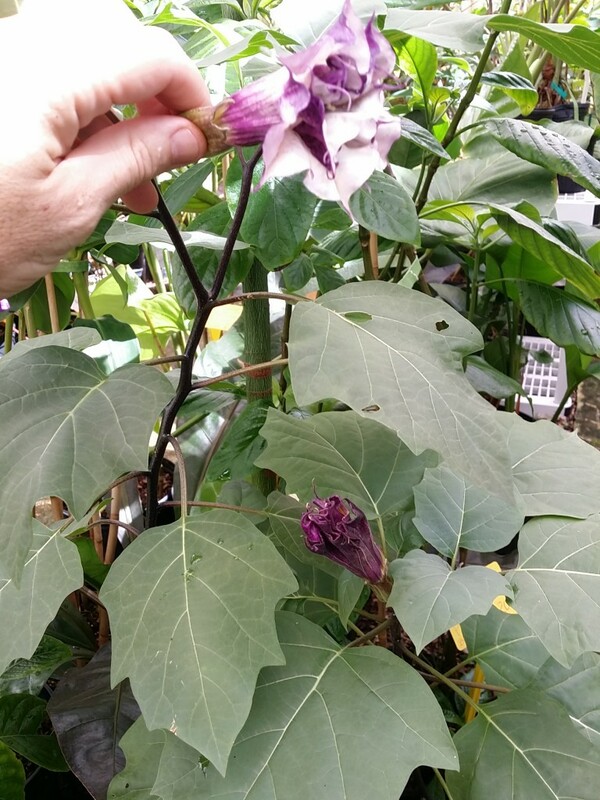 Devil’s Trumpet Datura metel blooming just in time for Halloween! 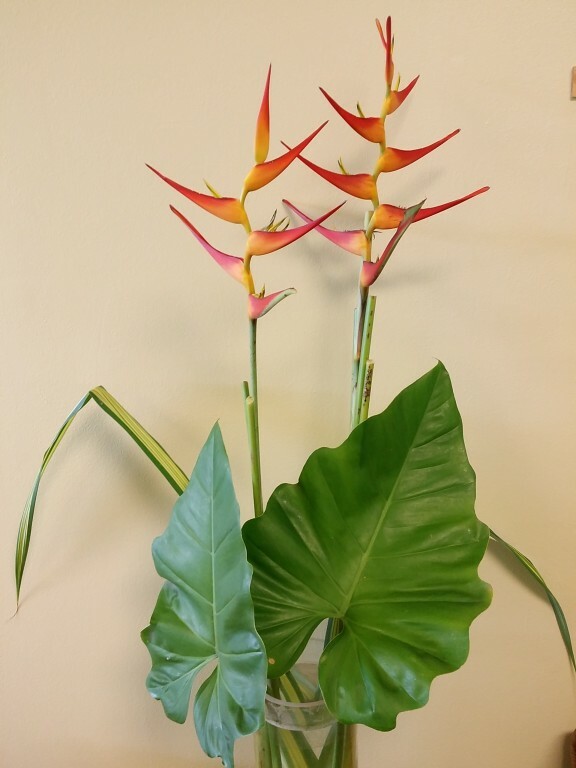 We have this plant in stock as well. 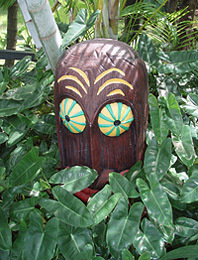 Stop in and check out the jungle..
We are open Wed – Saturday this week and going forward.